Ample Parking Available. Valet available, set up through the mall costing $7 per vehicle. No matter what the occasion, BRIO's private and large dining rooms provide the perfect backdrop for all of your special events. Our packages offer a variety of high quality, made-to-order Italian specialties sure to please! Our staff will provide a memorable experience for you and your guests!" We had a wonderful dinner for prom. 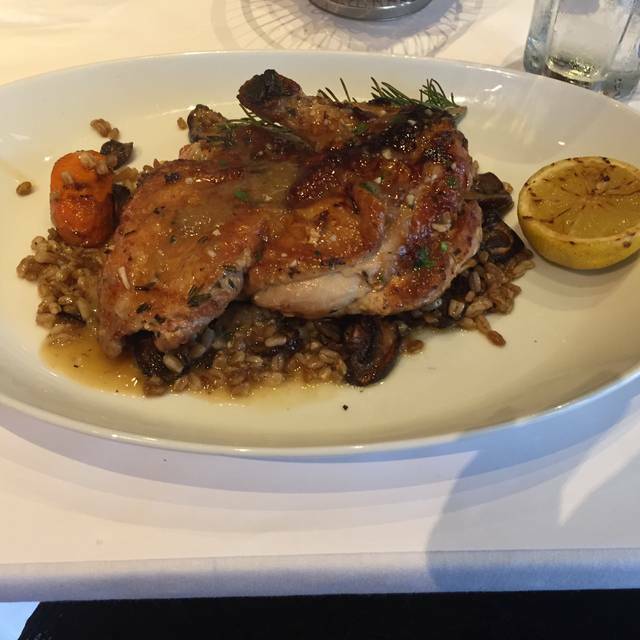 The food is always good and the service was excellent. There was a family of 15 there with 4-6 kids under 8 and allowed them to run around. I ordered shrimp & lobster fettuccine. When my food came out it was barely warm and had a piece of plastic film over the top of it. I thought it was lobster scales but wasn’t chewable. I showed the waitress. She brought me out another identical order. My wife and daughter plates both did not have enough sauces on them to cover there noodles which made the entrees dry. We were there celebrating my daughters 20th birthday. Beautiful atmosphere; professional and courteous employees. Food was very good; good time for all. Wine selections and pricing need editing! Need better offerings at lower pricing. We went there for my wife's Birthday it was a party of 12 and the experience was good. I dont have any complaints. There were four of us dining and one of the persons asked the server if they had gluten free pasta and he replied yes so she ordered off the menu and requested that the item be prepared with gluten free pasta. Sometime later were told that they did not have it. And she ordered something else. Then we were told my wife’s menu selection was also not available. An alternative was selected. Not good!! Good food and good service! Was a little slow to get the drinks and apps out but after that everything came out very quickly and was very tasty. Our server was very kind and attentive. Will definitely come back again. Excellent food and excellent service!!! Great location. Food is very good and service was great. 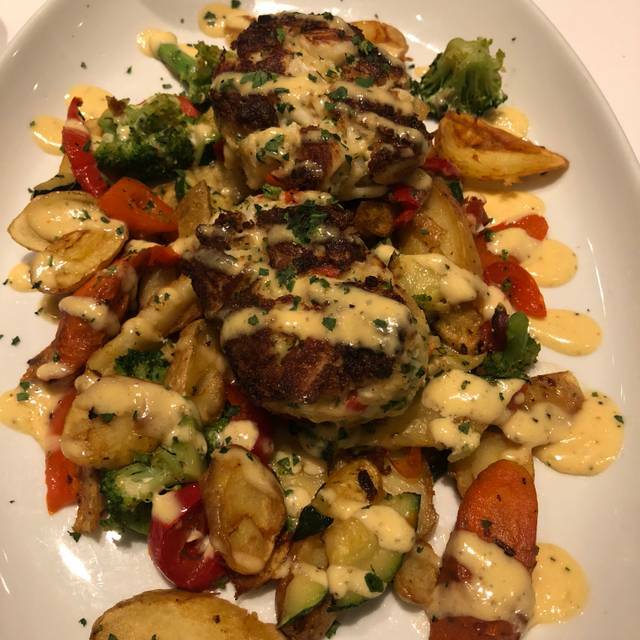 We are frequent diners at Brio! Excellent service and great menu and atmosphere,. Our only negative was that our food was not especially hot when served. It was seasoned well and very tasty but warm only. Considering the number of times we've frequented Brio, this was a first. Royce was an outstanding waiter! There have been changes to the menu and prices since the new ownership. We wish the old policies and prices had been saved. Used to enjoy the dipping oil provided with bread. Grotto which is just down the street offers this! Celebrated completion of the full and half marathons. Everything about this meal was excellent. The service on point, the food delicious. Service was impeccable, food was excellent, wait time for food was perfect. Food portions were very small. Food overall was ok. Service was slow and everything is overpriced. My first and last time to eat at BRIO. The salmon is deliciously fresh at Brio. Any salmon dish is a sure thing to order. Free birthday desserts are an added attraction too. We like the wine list too. Lot's of good choices with a variety of pricing. All 8 of our party were happy diners! We've been to Brio many times. The food is always excellent along with the service! This was a very different experience than we have previously had. We were seated at a 'folding card table', the waiter was overloaded with tables and only able to do a drive by once in a while, the new menu has fewer choices than previously. The experience was just a routine meal rather than a special dining experience. 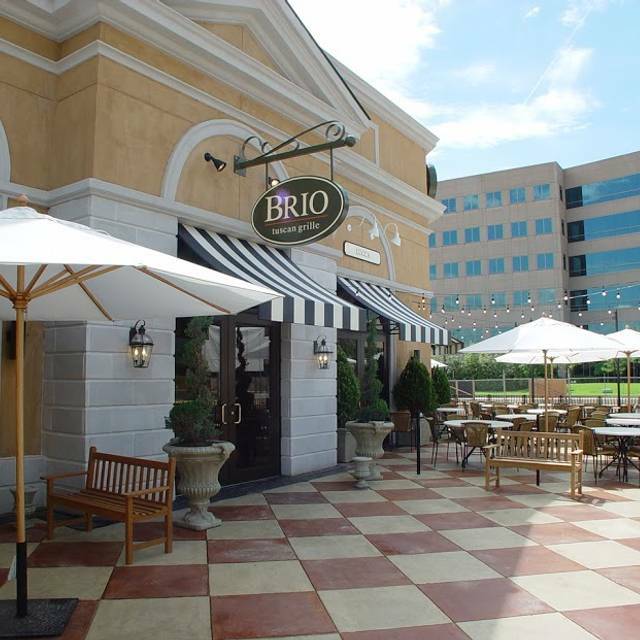 Brio's was awesome when it first opened. No idea why it has gone downhill, but my wife and I decided to give it a try again and it was even worse than our last visit. (over a year ago) The only shining star was the waiter. He was polite and attentive. We ordered drinks which were fine (It's alcohol after all) and then we ordered flatbread with cheese and tomatoes. The appetizer was ok, but not really memorable. The main course was the Shrimp & Lobster fettuccine and when it came to the table it was steaming hot. Well, the pasta was, but one bite into a shrimp and it was obvious the pasta was hot off the stove but the trimmings were not. The Lobster was very soft and chewy and the shrimp was lukewarm. All in all we spent $120.00 before the well deserved tip and it was not worth it. 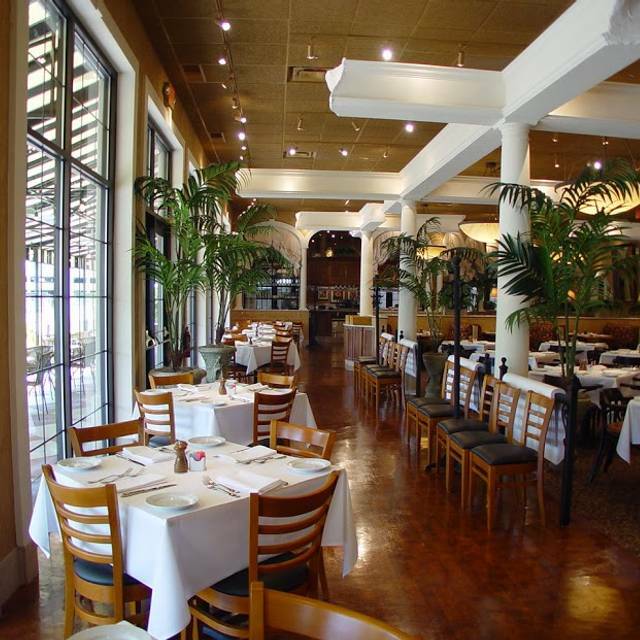 $120.00 is also what we spend for 2 at Pappadeaux's, however the drinks, appetizers, and main course is worlds above Brio. Lower your prices or raise the quality of your food. This was my first experience at Brio and was very let down. We have reasons to believe that our meal was rushed and not quality checked. We ordered the spaghetti carbonara and pan-seared salmon. The potatoes on the salmon plate were not done. The carbonara was not creamy, had only a small strip of bacon in the whole plate, and was not warm when it was delivered. Not to mention the carbonara portion looked like a kid’s portion. Way overpriced for the poor quality that was served. I would love to hear an explanation for why I was served such poor quality food. We sent the carbonara back. The least y’all could have done was have the manager or chef come talk to us and explain why the quality was so bad. 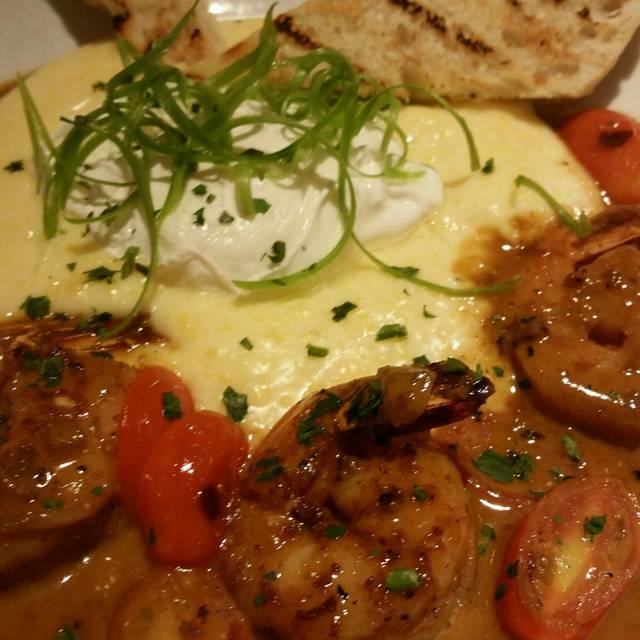 Food and service is always great at Brios. I would recommend to anyone. We had reservations for 6:30pm. When we checked in, the hostess told us there was a 10 minute wait and suggested we wait in the bar. We thought it was odd to have a 10 minute wait since we had reservations an the restaurant was half empty, but we waited and ordered drinks at the bar. Well, 35 minutes later, we still didn’t get seated, so we checked with the hostess. She rudely told him she was waiting for us to come back. Why would we check back??? Clearly, she should have come and got us to seat us, and clearly, there shouldn’t have been a wait since we had reservations, and the whole place was practically empty, including the bar. Not going back. Disappointing. New ownership has stripped, down graded menu. Less on the menu and no veal entrees. Plus $45 for a steak? Get serious. Cant compare to any of the 6 steak houses within 8 miles of here. Met two friends for lunch today and had a great waiter )Ronald) who took very good care of us. The food was excellent. We will definitely be back. Our waitress Logan was one of the best we’ve ever had. I've been here before. It was lunch time and fairly empty. Food was OK; service was a bit absent. I would return though. Delicious, the food is always amazing. The portions are large and the staff is very friendly. They need to cook, serving Italian food, not just put in menu type of it. Pasta should be al denta, spoon for esperesso should served with the proper spoon but not with spoon for tea etc. Hope next time when I'll come all will be better. Always a good meal but a bit on the expensive side for an everyday experience and the level of service is pedestrian for s special occasion.